My name is Lucero C. Andazola. I was born and raised in Chihuahua Mexico (Northern part of Mexico, right in the border with Texas). I came to the United States in 2007, three years after graduating from college and halfway into my master's degree. Once settled into this wonderful country, I started teaching in 2008 in Dallas Texas and have loved it ever since! I hold a Master’s Degree in Administration and I'm thinking about getting a second one but haven't decided which one yet. I have discovered that Education is the field that I'm the most passionate about so I put all my heart into it. In my experience as a teacher, I've had the opportunity to teach 1st and 2nd grades. First, when I started as a teacher, I taught first grade in a self-contained classroom for 4 years where I was able to teach Reading, Math, Science and Social Studies. Then in 2012 I was moved to a 2nd grade departmentalized classroom and have been absolutely delighted teaching Reading, Science and Social Studies ever since. Throughout this time I've realized that my teaching strength is Reading Language Arts. 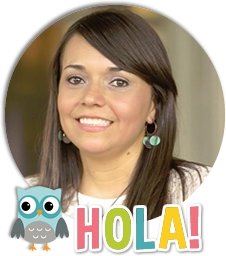 I am also certified as a bilingual teacher and currently I teach in a Dual-Language-Two-Way School which means that I get to teach mostly English Language Learners but also Spanish Language Learners. Now, I can't hardly wait to share my lessons with you all!